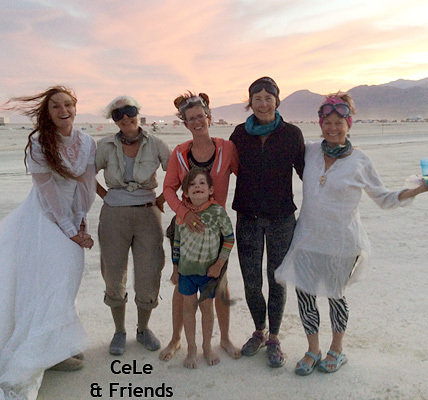 CeLe aka Carolyn Leigh at Burning Man 2014 with Teri Arnold (far right) and our amazing neighbors on the playa at Black Rock City. Photographs, artwork and text are copyright © Carolyn Leigh, 1996-2015. All rights reserved.